Italy is the cradle of the Roman-Catholic Church and offers a great selection of antique churches and cathedrals for your Catholic wedding in Italy. There is no other country in the world, that can compete with the numerous beautiful Catholic wedding venues. Our team offers you to organize your Catholic wedding in Italy in the countries most famous cathedrales or beautiful small country chapels. Tuscany boasts some of the most beautiful churches with rich interiors. 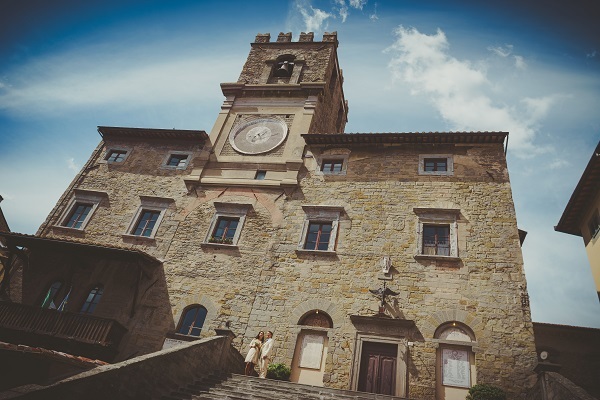 A catholic wedding in Tuscany might be celebrated in Florence, Siena or San Gimignano or in the most charming small chapels in the romantic Chianti area. Catholic weddings in Italy on the Mediterranean sea might be celebrated on the Italian Riviera in charming churches in absolutely breathtaking positions like Portovenere or Santa Margharita. A few Catholic churches will only perform a religious blessing, in which case you must be civilly married prior to coming to Italy. Contact our wedding planner for a selection of the finest Catholic churches throughout Italy.